Taste Washington, the nation’s largest single-region wine and food event, kicks off this week, bringing together an astonishing "235 wineries, 65 restaurants and 60 culinary exhibitors from across the region." A celebration of the state's revered and award-winning wine industry, here Seattle magazine wine writer Paul Zitarelli outlines 10 exceptional bottles for those considering starting a Washington wine cellar. 1. Quilceda Creek Cabernet Sauvignon. 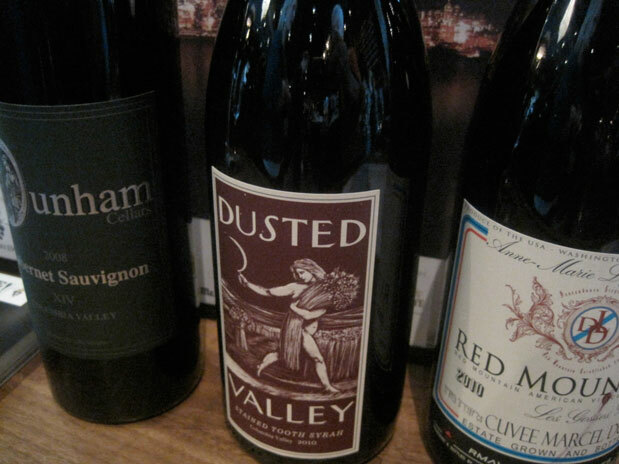 Washington’s most acclaimed wine has garnered perfect 100pt reviews from Robert Parker’s Wine Advocate for three different vintages. It is difficult to find, but worth the hunt. 2. Cayuse Syrah Cailloux Vineyard. Cayuse is Washington’s most difficult-to-source cult winery. Outside of their mailing list, only a handful of restaurants and retailers receive tiny allocations. Cailloux Syrah is a wonderful introduction to their earthy house style. 3. Corliss Estates Cabernet Sauvignon. Corliss is known for extended barrel and bottle aging, common in Europe, much rarer in the United States. While many wineries will be releasing 2015 Cabernets this year, Corliss will release their 2012. 4. Leonetti Reserve. Leonetti is the flagship winery of the Walla Walla Valley, perhaps Washington’s most important region. Their Reserve, a Bordeaux blend, is their top wine, focusing on a series of their estate vineyards. 5. Betz Family Winery Syrah La Cote Rousse. Bob Betz is a rare breed: a Master of Wine who is also a winemaker. Despite selling his eponymous winery in 2011, he remains involved, and this Syrah, from Red Mountain, is known for unfurling in beautiful directions after a few years in the cellar. 6. Andrew Will Winery Sorella. Andrew Will is one of four wineries to co-own the venerable Champoux Vineyard, and this Cabernet-dominant Bordeaux blend comes entirely from the oldest vines of Champoux. 7. Cadence Bel Canto. Ben Smith only makes wines from Red Mountain, and those include a pair from his estate Cara Mia Vineyard. Bel Canto mimics a right-bank Bordeaux blend, dominated by Merlot and Cabernet Franc, and Smith’s house style is all elegance and grace. 8. Gramercy Cellars Syrah The Deuce. Master Sommelier-turned-winemaker Greg Harrington built his reputation making a series of stunning Syrahs. The Deuce focuses entirely on Walla Walla Valley vineyards, and it shows Harrington’s typical restraint and class. 9. DeLille Chaleur Blanc. DeLille’s white Bordeaux blend is typically about two-thirds Sauvignon Blanc and one-third Semillon, and it ages beautifully, offering real complexity and earthy nuance after just a handful of years in the cellar. 10. Chateau Ste. Michelle Riesling Single Berry Select. This sweet, unctuous wine is made only from hand-selected grapes affected by noble rot. The Germans call this style Trockenbeerenauslese, and Ste. Michelle’s version is the finest sweet wine produced in Washington.